Instead of getting angry, you will probably just laugh at a snatcher who got robbed by his victim. Was it instant karma? Watch this viral video. 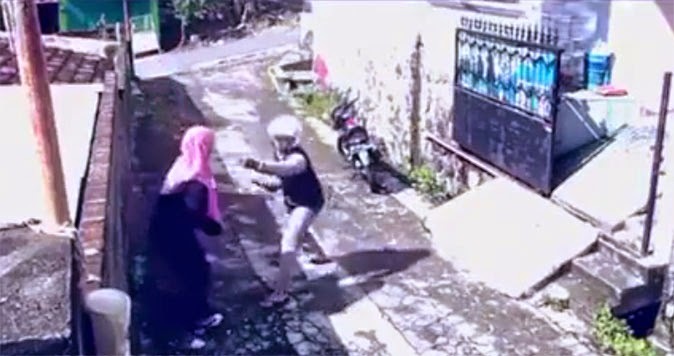 The 30-second clip posted on Monday by the Facebook page Pinoy Kulitan WorldWide, shows a woman being robbed by a motorcyle rider in an alley. Apparently inexperienced, the thief forgot something very important and just ran away after grabbing the bag of his innocent but smart victim. Post by Pinoy Kulitan WorldWide. While many poked fun at the snatcher saying he deserved what happened, there were netizens who expressed doubt on the authenticity of the video. Some asked whether the robbery incident was real or staged/scripted.